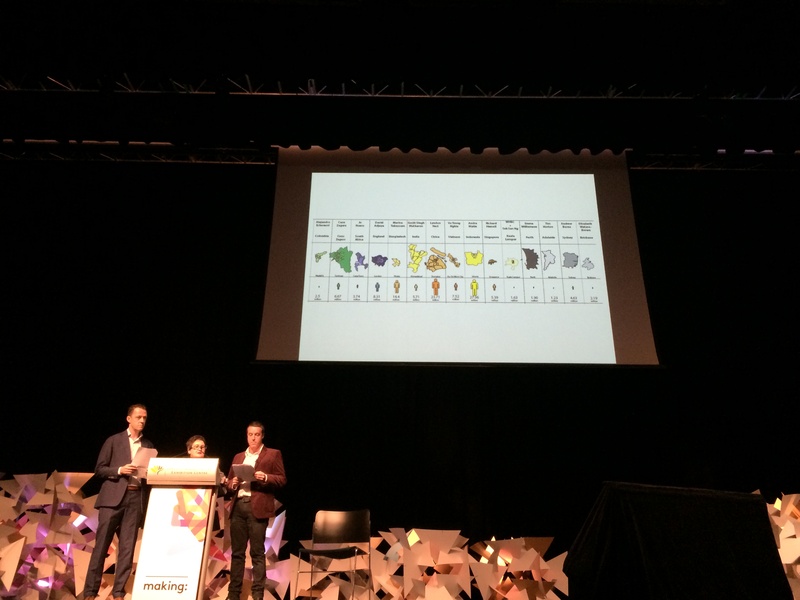 Today was the first day of the main program for Making: 2014 which was hosted at the Perth Convention and Exhibition Centre. Having been at one of the most eye popping public venues in Australia just hours earlier, the venue was an unfortunate let down for Perth. 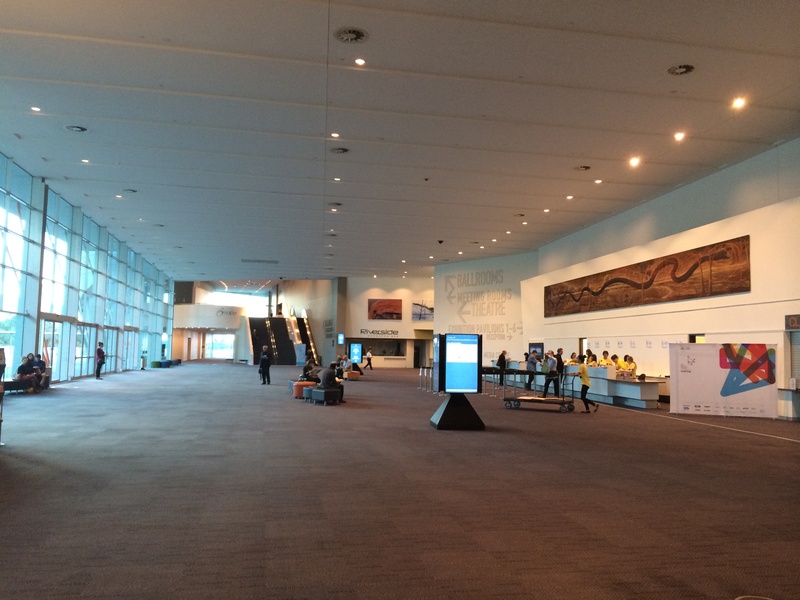 It seemed to draw upon Melbourne’s Tullamarine airport for inspiration in underwhelming interior space. This small point aside the day was about to be lifted up by some of the most inspiring people and projects in architecture today. The official proceedings began with a very educational welcome to country ceremony by Karen Jacobs. A particularly poignant statement from within this speech was the imperative that we value our culture, a most fitting remark for the occasion. Next we heard from National President of the Australian Institute of Architects, Paul Berkemeier who cataloged the achievements of the institute over the last 12 months. 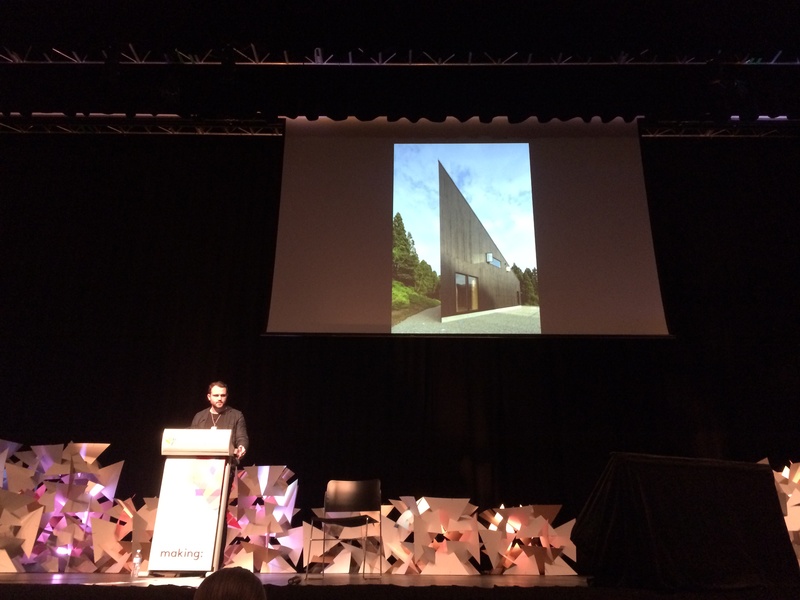 Citing the success of Australian Architects at the World Architecture Festival, Berkemeier proclaimed the Australian Architecture community to be punching well above its weight. The final piece of welcoming was undertaken by the creative directors Helen Norrie, Adam Haddow and Sam Crawford. They introduced the conference theme of Making and the four sub themes of Making Culture, Making Life, Making Impact and Making Connections. 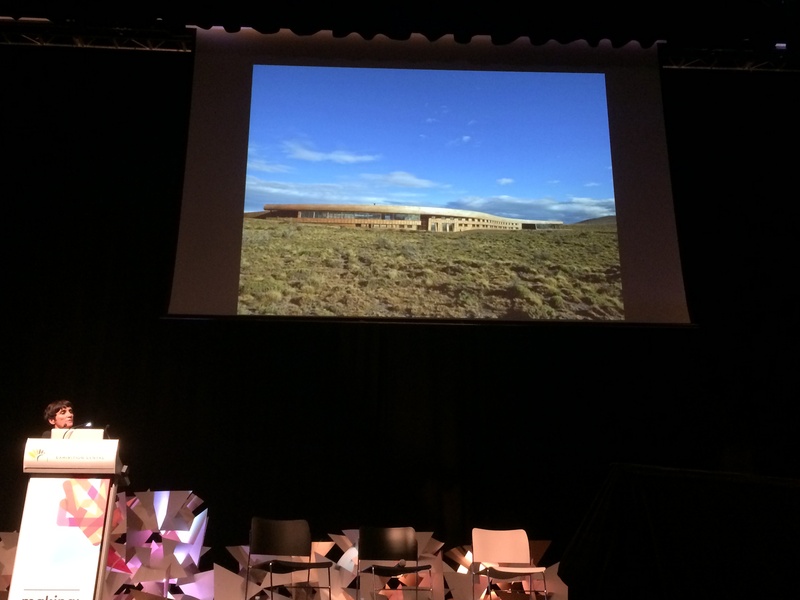 First of the speakers, Andrew Burns began by setting up a definition of architecture as he sees it. The presentation then flowed into an exploration of projects crafted by Burns’ including Australia House and Crescent House. The subject of making culture permeated across the projects leading to some further thought provoking ideas on how we could view ‘culture as a landscape of ideas’. 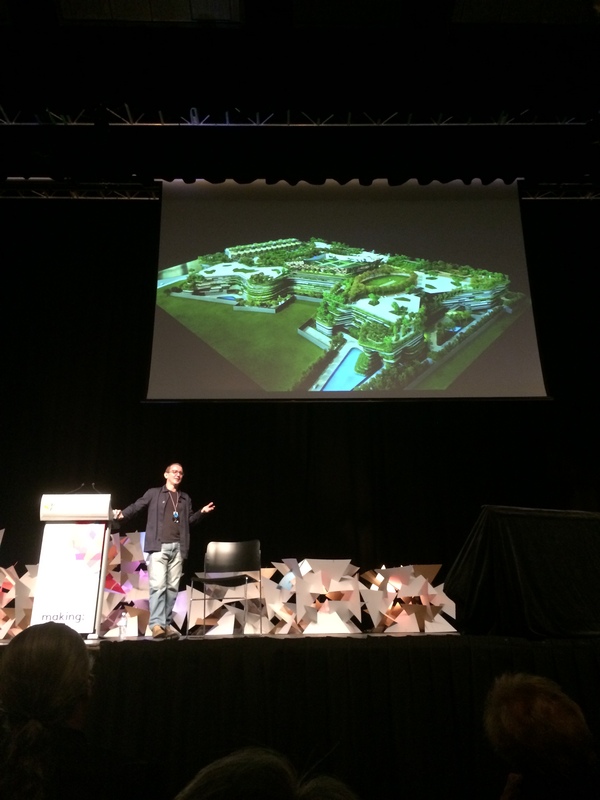 Next up was Richard Hassell co-founding director of WOHA in Singapore. 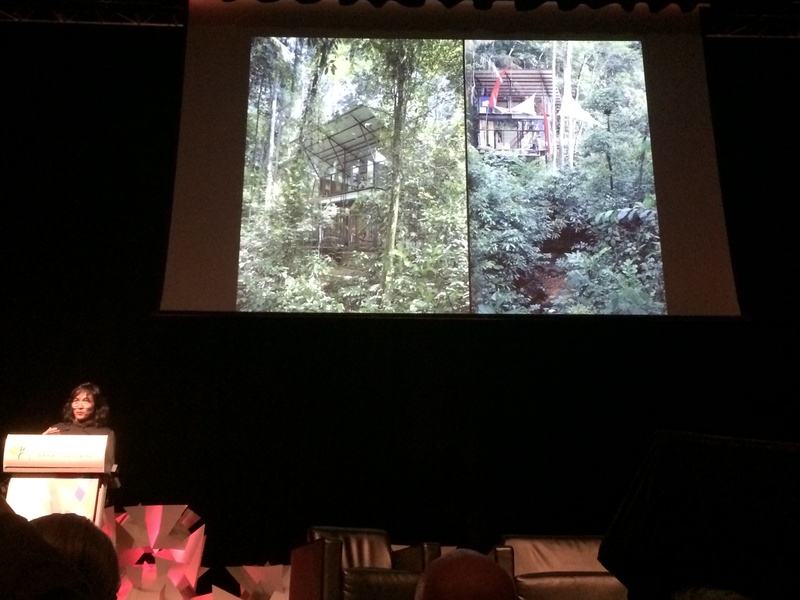 Hassell began with a short discussion about the qualities of traditional vernacular tropical architecture. Before the advent of air conditioning and electricity these buildings were designed to maximise air flow in the tropical climate. It is therefore the role of the architect to transform these traditions into contemporary equivalents. Hassell then proceeded to put on a master class in tropical architectural design organised by concepts rather than projects. As the concepts were explained, brilliant schemes with integrated gardens and solid urban design principles were presented. These schemes became high rises and then super structures taking up entire city blocks. These immense scale buildings were verging on becoming cities in themselves. Despite this massive scale amenity and quality were seemingly not lost on these projects. After the tea break Elizabeth Watson Brown opened the next session with a discussion of Architecture from Architectus’ body of work in Queensland. 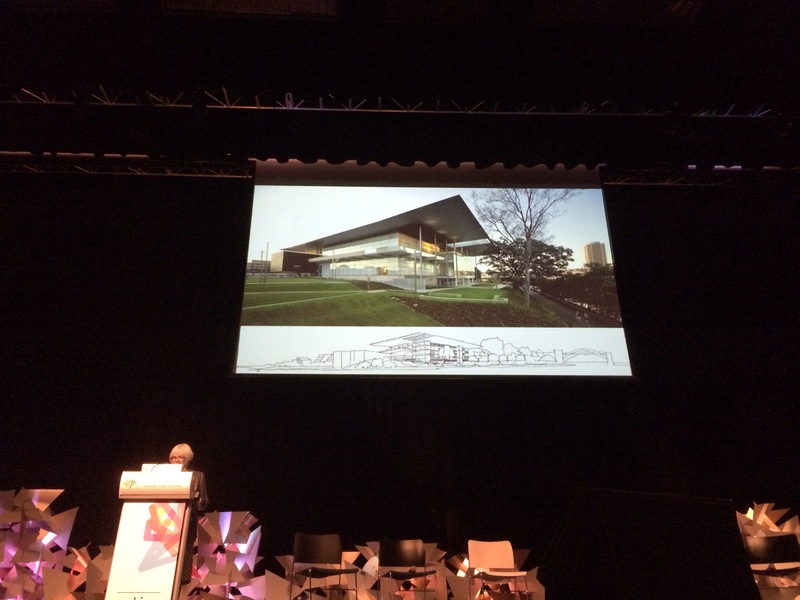 She talked about the frugality, modesty and openness found in Queensland’s architecture which can allow it to almost be absorbed by the landscape. The architecture discussed was well crafted, inventive and unusual. Among the diverse tropical projects was a most surprising project brief to design a hotel for dogs. The project was delivered in concrete with skill and humour. 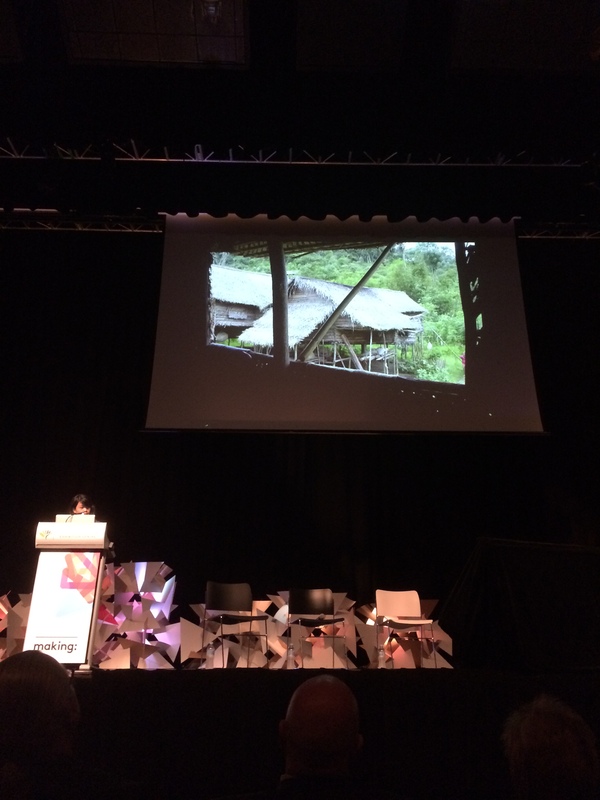 Wen Hsia Ang then took the stage to discuss a project for the Orang Asli people which drew substantially upon a detailed study of their vernacular architecture. The objective was to adapt their methods and substitute some of the materials to create a building which would be more durable and robust. It was vital however that these modifications respect the methods and traditions of the Orang Asli people. The result was a beautiful community facility, hand crafted by the community themselves. The final speaker for this session was Cazu Zegers. The presentation of her South American body of work, showcased some of the most exquisite timber construction anywhere in the world. Of upmost importance was the poetry of the work and its almost obsessive connection to place. The images of her timber structures were a real crowd pleaser however it was unfortunate that her work with concrete structures was left out due to time pressure. Following this architectural wizardry, was a short panel discussion before the lunch break. After the break, Timothy Horton introduced the next session of speakers with a brief discussion of Dr Rory Hyde’s book Future Practice. 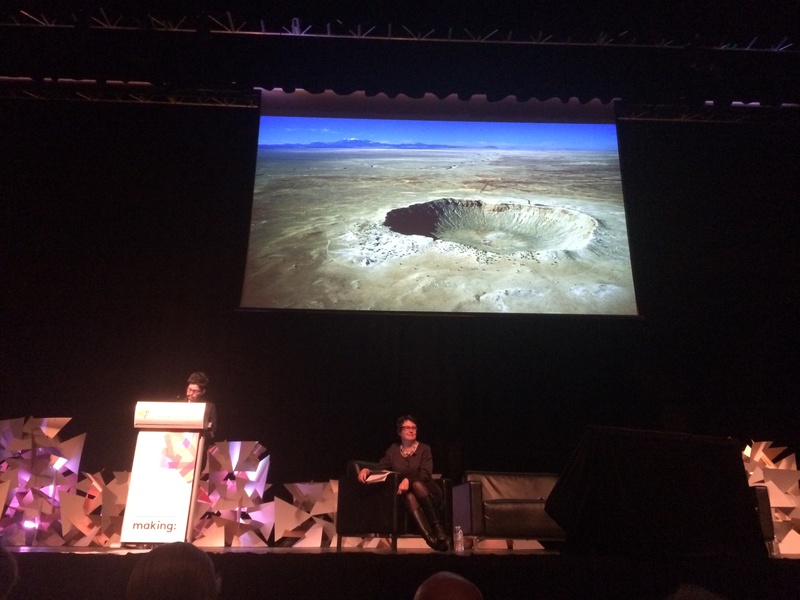 With large applause, Justine Clark and Naomi Stead took the stage to tell some hard truths and provide some optimistic updates in relation to the ongoing fight for gender equity in architecture. In true myth-busting fashion Justine Clark took the sword to many of the industry’s biggest misconceptions. Truth: The extensively researched data suggests women are at a disadvantage across all career stages. Truth: The very subtle discrimination at the office is far more difficult to deal with. Truth: Not when the profession and the community at large is missing out on such an incredible amount of skill knowledge and talent. The good news on this subject is the adoption by the AIA of the equity policy, the release of the brand new Parlour Guide to Equitable Practice and the formation of the National Gender Equity committee. As a side note I am proud to announce that I have been selected to be on this committee to help make architecture an industry for everyone. 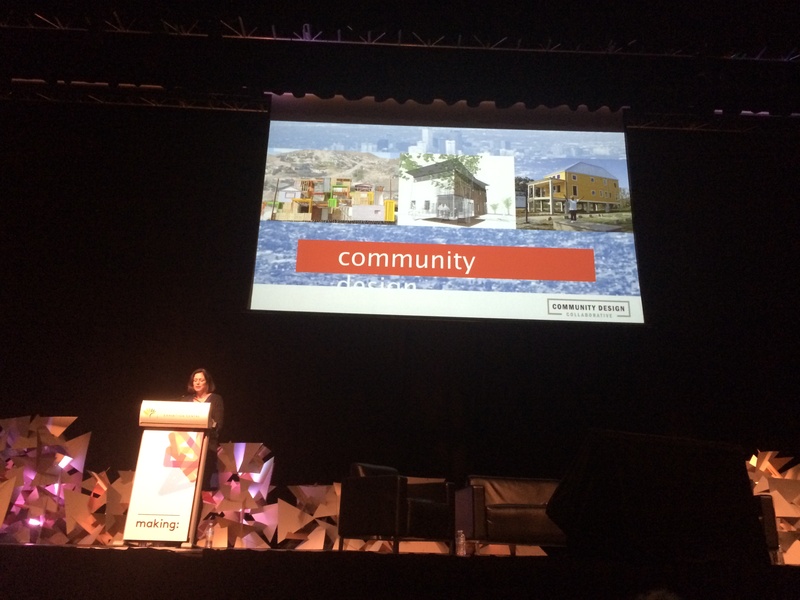 Next on stage was Beth Miller, the executive director of Community Design Collaborative, a Philadelphia based non-for-profit organisation which empowers community design. Miller explained that often the community is trapped by not being able to get projects off the ground without initial early stage design work. What the Community Design Collaborative does is facilitate pro-bono early stage design only to facilitate community driven change. This discussion felt particularly relevant given the pro-bono community based work done by my practice recently for a better East West link. 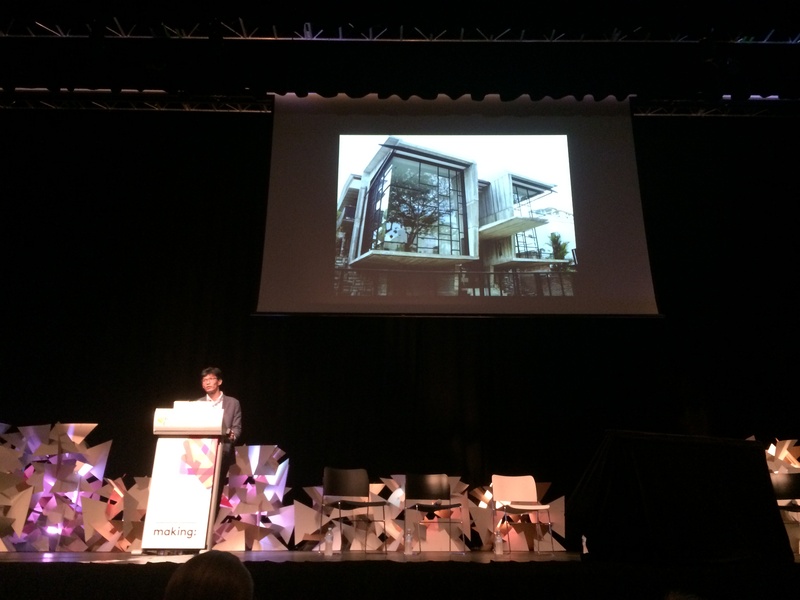 Following the afternoon tea break Sek San Ng took the stage in a humorous presentation that looked at his work in Singapore. The work follows a craftsmen tradition in which design is embedded through the construction process. No drawings in the traditional sense are produced, however if required site sketches on walls and spare building debris can be produced. The architecture itself embraces materials that weather creating spaces with a unique feel and texture. The final speaker for the day was Gurjit Singh Matharoo from Matharoo and Associates in India. 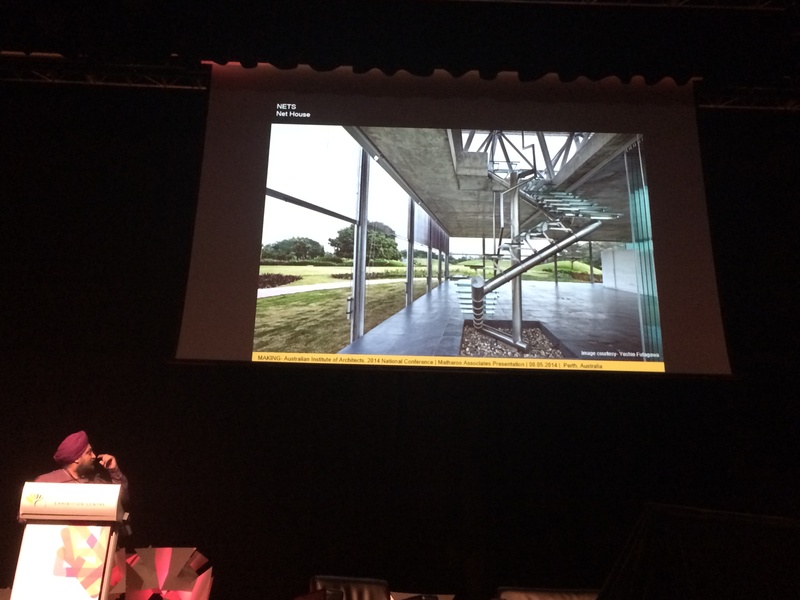 This presentation featured a diverse range of projects which all explored the innovative use of concrete. Highlights from this presentation included the Net house with an amazing floating concrete slab, A curtain door made of timber and a concrete counterweight window system on a project entitled a house with balls.Filled with witty anecdotes this was a great way to finish the talks for the day. The evening fringe events held in the State Theatre Centre Courtyard were unfortunately hindered by bad weather. Those who endured the conditions were treated to a varied program beginning with discussions about artist collaborations. This led into an unexpected choir performance followed by a presentation on the Augmented Australia for the 2014 Venice Biennale. 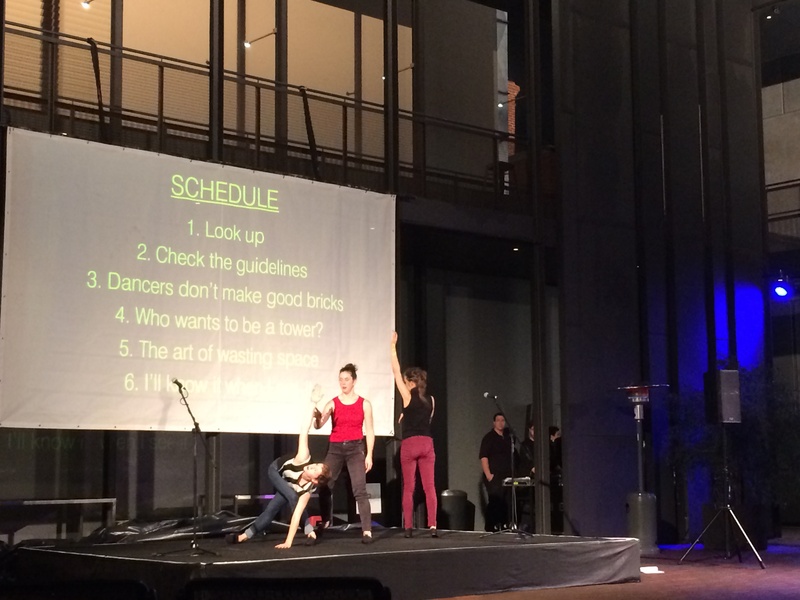 Next was an amusing performance by a trio of dancers, dancing about architecture. 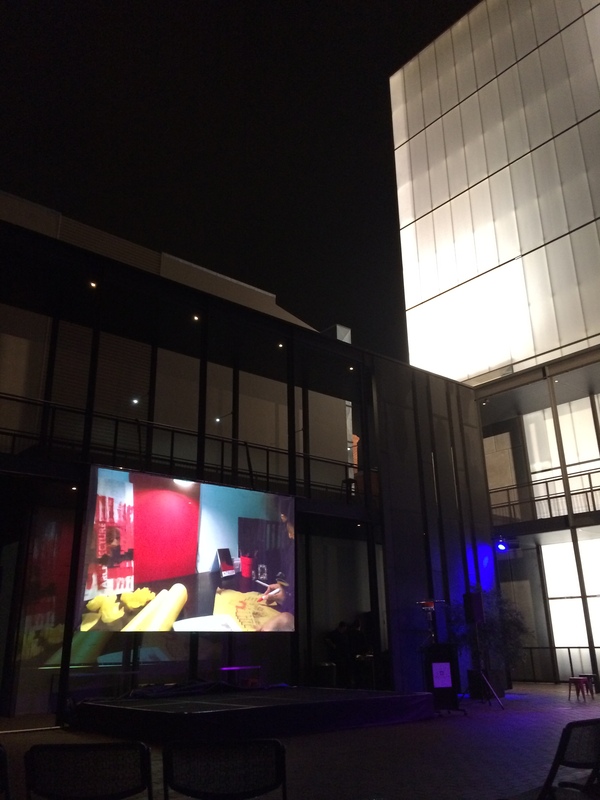 The proceedings finished with the Cinecity 2014 film exhibition for which my practice Atelier Red + Black were shortlisted. All in all a massive day of thought provoking architecture and culture. This entry was posted in 2014 Architecture Conference, all posts, Gender Equity in Architecture, News, Uncategorized and tagged Adam Haddow, Andrew Burns, BC Ang, Beth Miller, Cazu Zegers, Dr Rory Hyde, Elizabeth Watson Brown, Gurjit Singh Matharoo, Helen Norrie, Justine Clark, Karen Jacobs, Naomi Stead, Paul Berkemeier, Perth Convention and Exhibition Centre, Richard Hassell, Sam Crawford, Sek San Ng, Timothy Horton, Wen Hsia Ang. Bookmark the permalink. A great summary – thank you Red & Black- I almost believed I was there! Thanks Patrick, glad you enjoyed it!